Dry Fruits 200 gms. in Silver plated Glass Containing Chashew and Raisins with 2 Glass and Tray(size 7 inch). Dry Fruits 500 gms. 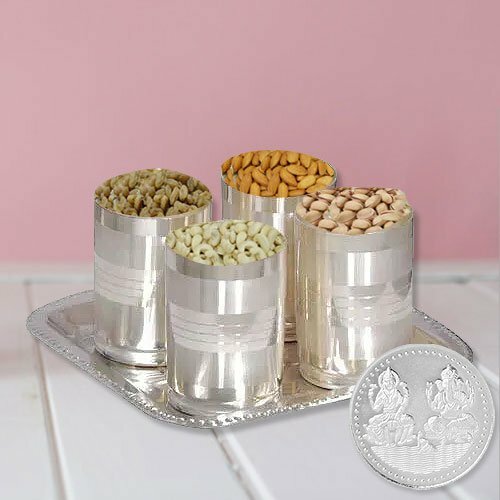 in Silver plated Glass Containing Chashew, Raisins, Almonds and Apricots with 4 Glass and Tray(size 7 inch).with Free Silver Plated Laxmi Ganesh Coin.